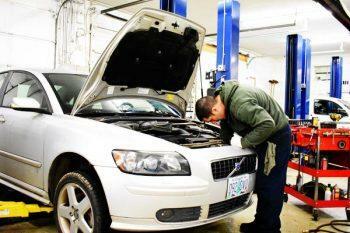 Steve’s Imports has been performing Volvo service in Portland, Oregon for thirty years. Our certified technicians are experienced in all types of Volvo repair, from your family’s first 740 Wagon that just won’t quit to the latest innovations on the P3 platform. We take pride in assuring the highest level of maintenance in your vehicle by treating it like one of our own. Volvos are well-known for their reliability and extensive lifespans, but we’re here to help when disaster strikes or even when your vehicle just doesn’t seem to be holding up to its maximum performance level. We provide reliable and affordable repairs for any issue you may encounter. We arm our knowledgeable and highly skilled ASE certified technicians with all the right Volvo specific tools. That way we can provide thorough and accurate diagnosis for targeted, faster auto repair work no matter what model Volvo you drive. If you have an all-wheel-drive manufactured before 2002, you may be aware of common issues known to occur with the transmission. We can inspect your vehicle and give you the assurance that you won’t be the one waiting for a tow in the left lane of I-5 during rush hour. A regular upkeep on fluids and other minor details can prevent a full overhaul, and help keep any model running smoothly for years to come. We’ll also go over all other potential wear that may occur under the hood from years of driving, including checking on the state of your timing belt and running full computer diagnostics. Be it an unsettling rumble under the hood or simply just the time for scheduled maintenance, we’ll put the full level of dedicated insight into every job. We also do full body repairs to make any Volvo look like it’s just rolled off the lot. Transmission failure in the XC90.This can result in sudden loss of power and typically occurs around 100,000 miles. We can replace or rebuild your transmission. Excessive oil consumption. Spanning a variety of models, you may not realize you are out of oil until it is nearly dry. Regularly check oil levels in the S60. Failure of the starter control module. In certain models, this may fail. It will keep the vehicle from starting. Our technicians can replace it and get you moving. Radiator cracks. Your radiator can crack without any leaking. This happens when the plastic ends on the tank crack. Regularly check your coolant levels. Shifting issues in the XC70. Though this can happen in any model, we see it more often in the XC70. Bring your vehicle in if shifting is hard or delayed. Electric throttle module failure. If you have an ETM failure you may still be within warranty. The warranty for this part has been extended by Volvo. ABS module failure. Bring in your Volvo for an ABS diagnosis if the warning light on the dash illuminates. ABS is a safety feature you don’t want to drive without. AWD housing leak. Leaking oil is never good, especially if consumption is high. Check around the AWD housing if you find oil leaking beneath your vehicle. 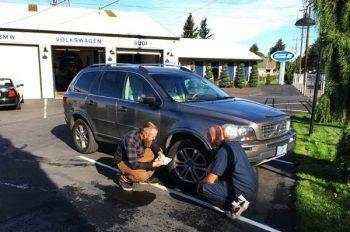 Contact us for Volvo repairs in Portland today! If you’re looking for safe hands to keep your new C70 running for decades to come, or if you need that 240 to run for a couple decades more, Steve’s Imports has the experience and know-how to give any Volvo the long life they deserve. Just call or contact us today.